We have a number of products that will enable you to create your own hole in the wall fire using our bio ethanol burners. These "drop in burners" have a lip around the top edge which is placed into the hole cut into the floor of the hearth. The burner sits inside the tray preventing it from falling through the hole. 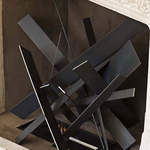 When building your own fireplace it is important to consider that the chamber will get hot, and so the chamber needs to be constructed from fire proof materials. We provide a range of standard inserts designed for this purpose. Alternatively we can fabricate a custom insert for you. Once the chamber is installed, simply slide your bioethanol burner into place. 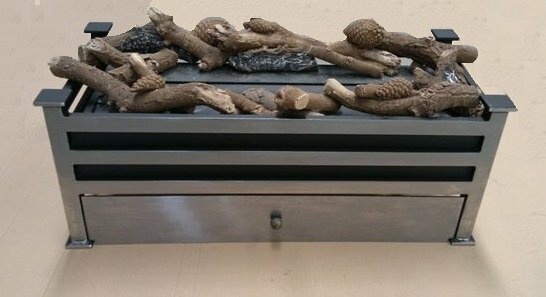 Decorate with ceramic logs and pebbles and you have your fire! 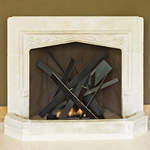 Want to create a contemporary hole in the wall fire - we offer our flueless drop in burner. Comprising of a drop-in tray and a large flueless bio ethanol burner, this product offers the ability to create stunning bio fire designs. 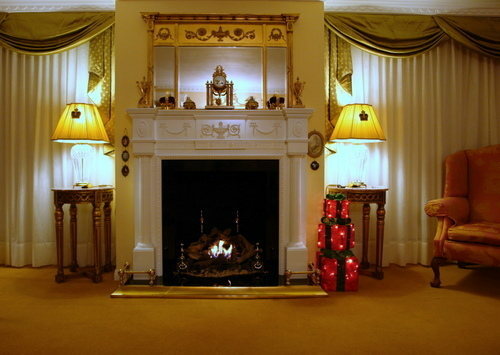 Click here for a guide to creating your own fireplace. If you want something a little more customised then check out our Architects page to see the type of commissions we can take on. The first picture shows an easy to make hole in the wall fire (the most popular choice). The 2nd and 3rd pictures show a traditional fireplace that was created by one of our customers using one of our bioethanol burners. This design surprised even ourselves as it was the first time any of our customers had used our burners in such a traditional manner. We were thoroughly impressed with application of the burners. As shown in the 4th and 5th There is really no limit to the designs, but your imagination. 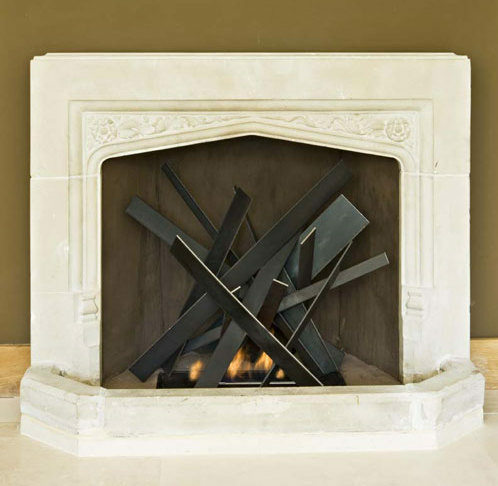 This fire design was created by sculptor Cathy Azria from BD Designs. 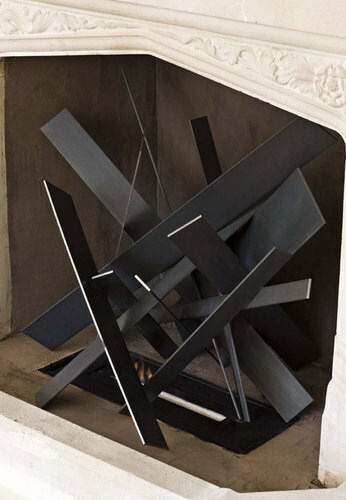 This fire has been designed to ensure the sculpture doesn't come in contact with the flames, to maintain clean combustion. 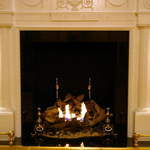 At Prestigious Fires we provide a sourcing as well as product service. A number of architects and specifiers use this service (at no extra cost.) If you have a project and you need a fireplace, just give us your specifications and we will find the right fire for that project. We will look at all options; gas, electric, multifuel, gel and bioethanol fires. We narrow down what is suitable and then present you a number of options, with our personal recommendation. 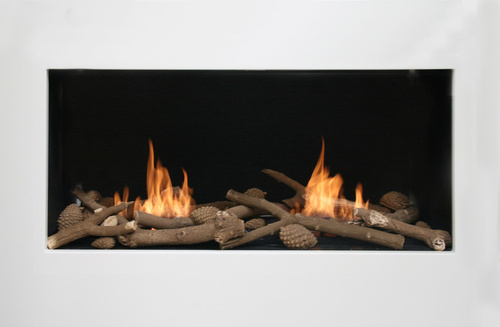 For projects with no chimney, bioethanol fires are perfect, as they are a completely flueless fire. 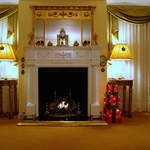 Compared with flueless gas, the flame picture is FAR superior to that of a flueless gas fire. 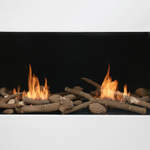 Flueless bioethanol fires are really popular with architects and builders as they have low installation costs - rather than having to take hours to fit, bioethanol fires can be fitted in 10 minutes. 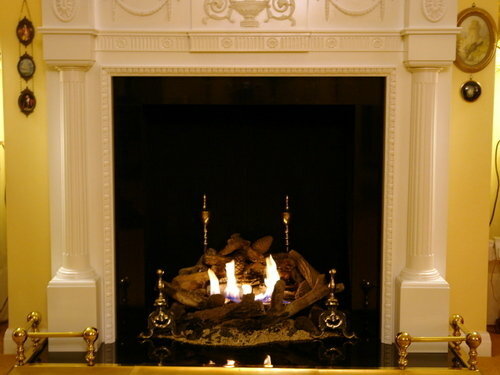 Also the servicing that a flueless fire requires is virtually non-existent.